Product information "Die drei ??? 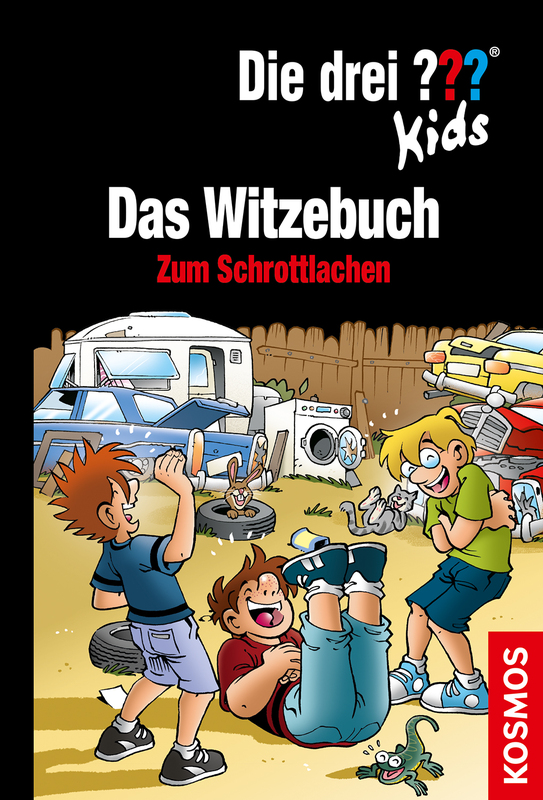 Kids Das Witzebuch"
The best detective jokes in one volume: Justus’ wise guy jokes, Peter’s sports jokes, Bob’s journalism jokes and much more. It will leave you in stitches! Kim Schmidt is a comics illustrator and caricature artist. After starting as a newspaper cartoonist at the Flensburger Tagblatt, among others, he has been successful for many years as the author of cartoon books. He has been part of the team of “Kids” illustrators since 2005.